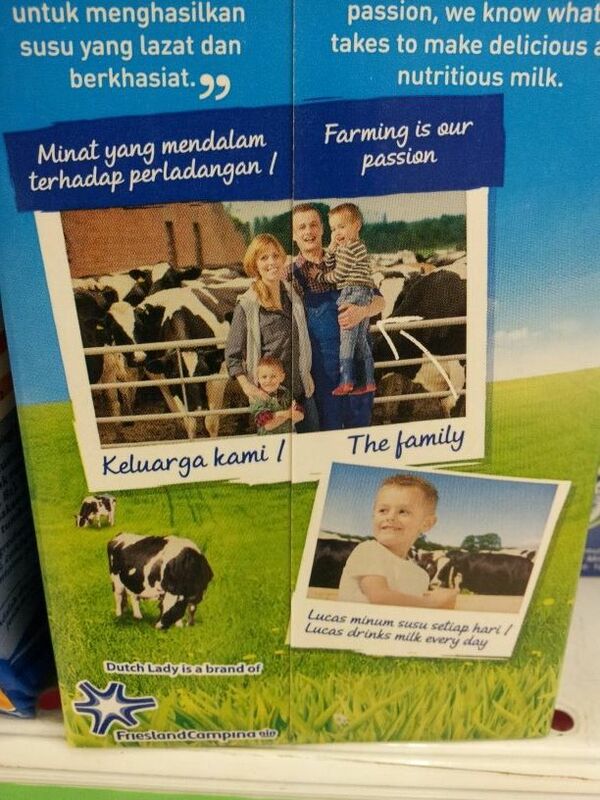 Dutch Lady Malaysia has just introduced a new packaging for its UHT milk series. Dutch Lady’s UHT milk is now known as PureFarrm. Clearly, the company wants to drive the message of ‘freshness’ to Malaysian consumers. A closer look at the old packaging versus the new packaging shows the old packaging emphasises family, while the new packaging shows two dairy cows grazing on the green pasture. There is a tick on the new packaging with the words “Delicious, Essential Nutrients”. On the side of the new pack is an introduction to FrieslandCampina’s 140 years of farming heritage. The company has the following description on the back of the packaging “Building a strong family takes time. So does producing quality milk. With generations of expertise and farming passion, we know how it takes to make delicious and nutritious milk”. There are also two photos of a dairy farming family with the Caucasian look comprising a couple with their two kids with their dairy cows on the background. The headline is “Farming is our passion”. The next picture shows their kid drinks milk every day. PureFarm does look sophisticated. I am sure the followed up marketing campaign will focus primarily on the freshness of the ingredients and how healthy dairy cows from quality dairy farms will produce milk full of nutrients.